You must make reservations at least 5 minutes in advance of the time at Café Sapori. Valet Parking during dinner only. Lunch is self parking. Cafe Sapori features two private dining areas for your guests to enjoy. Our private dining room accommodates up to 45 guests and expands to an outdoor patio perfect for cocktail receptions. The Courtyard is an enclosed garden that brings the outdoors in, seating up to 65 guests. 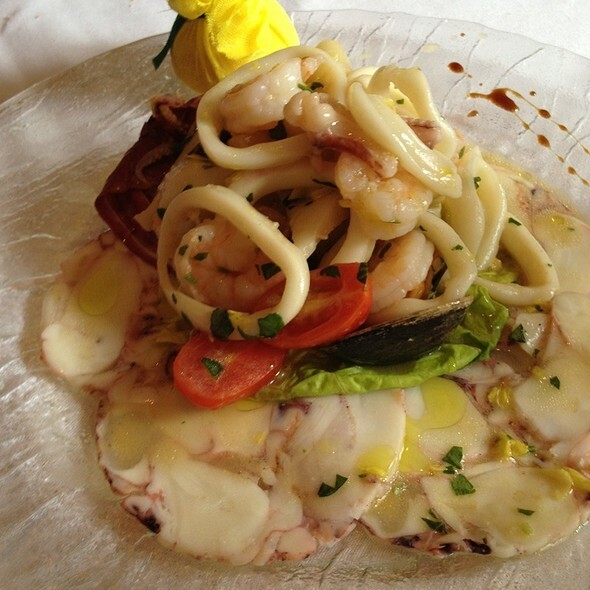 Come and join us at Café Sapori where you will experience traditional and modern Italian cuisine. 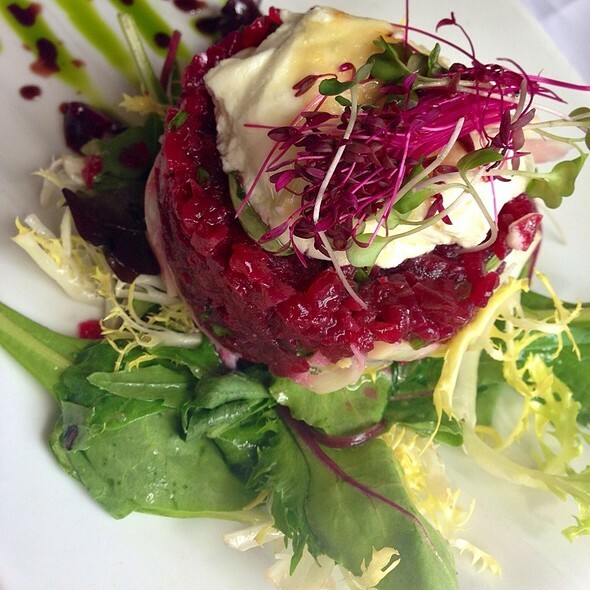 Our menu offers an assortment of flavors from Northern and Southern Italy, in an upbeat and elegant ambiance. Delight yourself in the glamour of our bar surrounded by rich mahogany wood and illuminated onyx with one of our signature Saporitini. Indulge in the comfort of our dining room amongst authentic Italian earth tones and the vivid colors of our breath taking orchids. Take advantage of our private room for special occasions or business events. Discover our sensuous court yard "al fresco" or for a romantic evening under the stars. Open seven days a week for lunch and dinner with complimentary valet. Reservations recommended for dinner only. The food was very mediocre, and did not justify the price. Unlikely that we will return. We had a wonderful lunch. 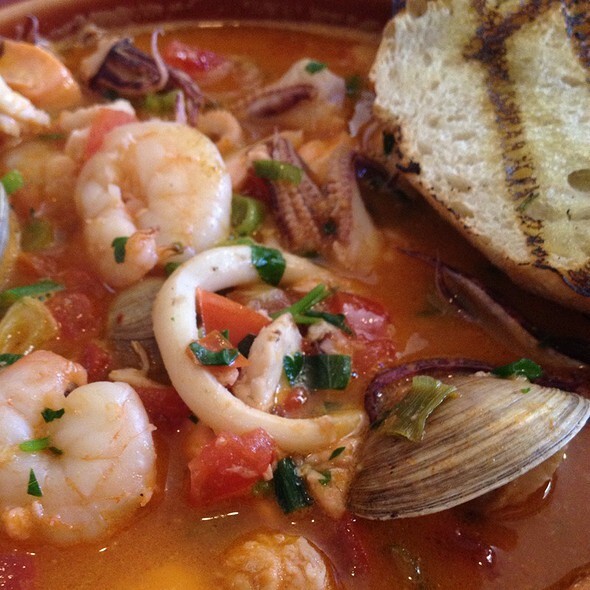 The food was excellent and the service was attentive and friendly. I would certainly recommend this restaurant to anyone wanting an excellent meal. We had a table of 6 on Tuesday night celebrating a birthday; the team at Sapori did a great job, as they usually do. Service was attentive and efficient; i appreciated that we were given ample time to talk amongst ourselves with minimal interruption from the service staff; they took the order when we were ready and they did so efficiently. Food was great. 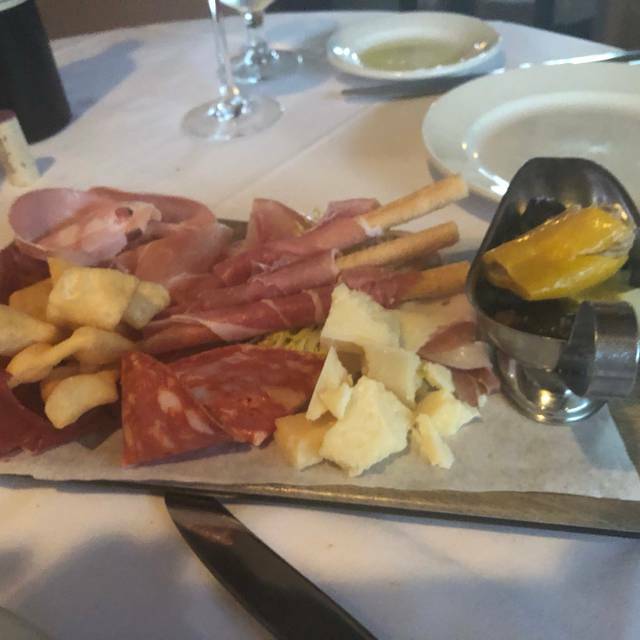 We eat at Sapori often when we are in FL; as far as Italian restaurants go, it is one of the best in the area. Wonderful food staff and atmosphere whether dining indoors or out. Can’t go wrong here. I have always been a big fan of Cafe Sapori. However, the food is not as good as it used to be. Not sure if they changed chefs but the food was bland and I had to send my pasta dish back because the sauce was like eating paste and it was a basic dish. Place looks like an Italian restaurant. 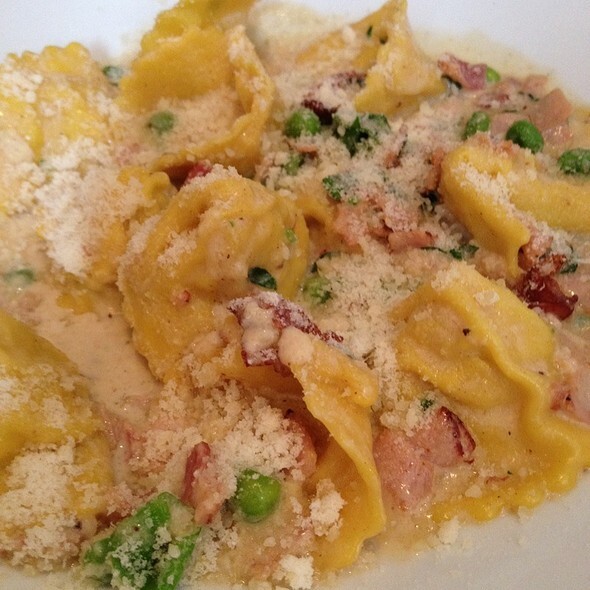 Locally known for it's fresh made in-house pastas this tried and true upscale Italian Restaurant never disappoints. We are always greeted with a smile, seated quickly, attended to graciously. The food is consistantly delicious and beautifully presented. Large portions can be split in the kitchen which we appreciate. My only caveat is that the wine prices are pushing the envelope but we have this criticism about most places these days. The in house (by the glass) selections are very drinkable for the price, t but we are not exceedingly demanding in that regard. Try the veal medallions which were out of this world. All the pastas I've tried from Boar to Seafood have been excellent. One of my favorite restaurants in the Palm Beach area. Love it! The service is not as good as previous years. Waiters are not ordering correct dishes. The service was horrible. It was a busy night, however that is no excuse for poor customer service, especially at a higher end restaurant. Upon entering, waiters were carrying large chairs over their heads to the inside almost knocking people over at the entrance. No excuse me or pardon me. Just plowing through. The maître d’ said he would be right with me. During his absence, a couple went in front of me. When he returned he tended to them although he made notice of me. I stated to him that they had jumped the line and he said everyone’s in a rush. No apology. States that he is getting my table ready. Got to the table and service for one was set instead of for 2 and no salt and pepper on table. Waiter brings only water for 1. Large party next to my table and group of waiters coordinating the service for them by almost yelling at each other. Waiter never stopped to check in at table and asked if food was good. Food was mediocre. I have heard from others that when it’s quiet there the customer service is good. There are plenty of restaurants in town that know how to run a restaurant no matter how busy they are. Staff very friendly and helpful. Ambiance fair. Noise level fine. Food very good; pretty basic Southern Italian. Would return if in the area. Great food, very nice service, excellent artichoke appetizer and fabulous Veal Parmigiano and Salmon entrees. One valet guy was rude, the other very nice. Had parpadelle with porcini. My wife risotto with porcini. Both excellent. Our meal was paired with a Primitivo Mandorla from Puglia. Highly recommended. Everything was fantastic except a woman with her untrained barking dog which I think is very tacky and wrong to carry into a restaurant and servers had to trip over. But love the restaurant. have been going for years! !The professionals at sappori never disappoint! Always excellent, great food and service, wonderful ambiance! Appreciated the half orders of Pasta dishes. The fresh spaghetti was mushy so the waiter had it remade using the dry pasta; explaining that fresh spaghetti can never be al dente. I never had that told to me before. I think the problem was the kitchen sent out our pasta and the salad at the same time. Then the pasta was sent back and brought out after the salad was finished. The waiter was very good. The place is nice and so is the clientele. Valet parkers are very friendly and helpful. 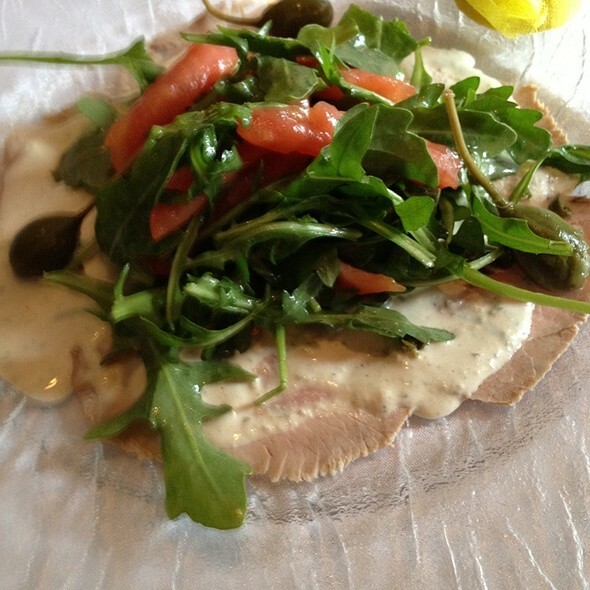 Never disappoints, always a delight, Vitello Tonnato! We were seated by the kitchen, staff kept bunking into one of the people at our table. The maitre’d was extremely rude when we asked for a table change. Ultimately, we left after our salads since at this restaurant customers do not come first!!! One of my favorite restaurants. The food is fabulous, but the noise level is always very high which sometimes makes it difficult to hear the people you were with. My favorite Italian restaurant in Palm Beach. 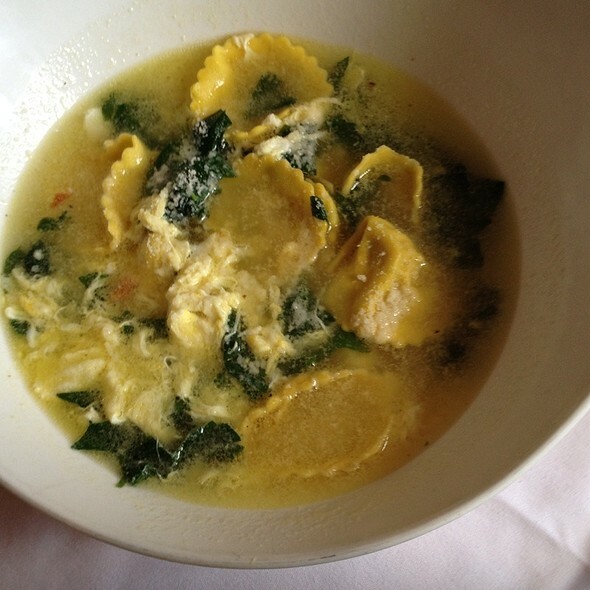 I love the milestone soup (which is huge) and they have the best ravioli with sage butter sauce. The wait staff are all over you to make sure everything is perfect. Can’t wait to go back. This was a strange mixed-bag experience. Our wait staff was very attentive when we sat down and answered questions from the wine list as well as the menu. He inadvertently spilled over a full glass of water on my brother. Not a problem. It was cleaned up. After we finished our delicious meal the same waiter spilled over my sister-in-law's glass of water which splashed onto her almost-finished plate then onto her pants. This time the waiter didn't seem very apologetic and I don't know why. We thought he might have gone out of his way to make amends but he actually didn't seem to care. We had to call over the manager as my SIL's pants were clearly stained. The manager came through with taking off a salad from the total bill but it was almost like pulling teeth. He offered free dessert but we are not dessert eaters. The food was EXCELLENT, but perhaps our seasoned waiter was very off that night. It ended strangely. The service has been a bit slow the last few times and orders didn't come out together. Food is always good and fresh. Food and service were outstanding,however prior to finishing our meal the staff began setting up for next meal moving tables talking loudly with no consideration for us despite a hefty bill. When I complained to the manager who was drinking wine and flirting with the hostess he was indifferent , defensive and hostile. As a yearly visitor and frequent patron this experience was definitely denigrated by this inexcusable behavior. It appears to Mr that their losing a long time customer was of no interest to them. Palm beach has many other choices, I would avail myself of them rather than waste an evening where you are made to feel insignificant and unimportant. No daily special. The same menu specials that have been on the preprinted menu for months. Are you kidding. Overpriced standard fare you can get at the local pizza place. The servers are terrible. Can’t take a basic drink order correctly. I will not return. Authentic Italian food. 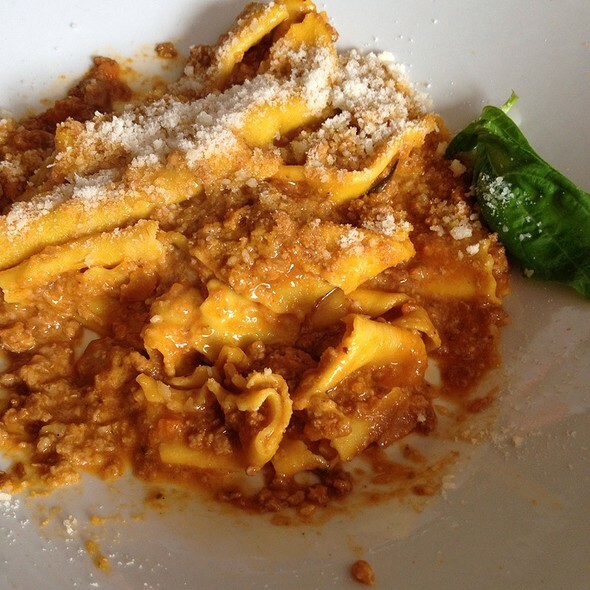 Quality food and prepared the Italian way. Can't wait to return. All I can say is.......OUTSTANDING! I dine out quite often and being from NYC, I do know good Italian food. This was my 2nd time at Cafe Sapori, it will be my favorite when in this area. Best restaurant in West Palm Beach! Excellent service and always good food. Fish special was great. As always the food here is delicious. It's innovated Italian and well thought out. We ate outside where we never had before and the noise level was less. Upbeat and festive in feeling. Getting into the Valet parking was an issue this time. As always, Cafe Sapori was abuzz with conversation. 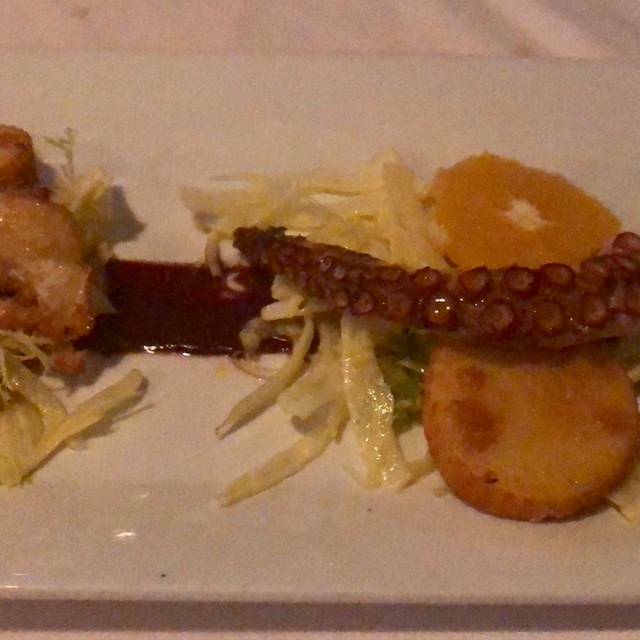 Our meal was outstanding from the grilled octopus to the roast chicken. The vino smooth yet robust. A neighborhood favorite.